Young mathematicians need to see that the keys to success are passion and dedication, not speed and always being right. Children’s self-concept is the collection of attitudes and abilities that they believe define them. Within the development of identity, we have the opportunity to provide guidance and support for positive growth. Helping children shift from the fixed mindset—one that says some people were born to be great mathematicians while others are doomed to struggle—is critical to supporting the next generation of math students. A growth mindset is one where students understand that productive struggle and even mistakes are opportunities for learning and growing their minds. It’s important for all students to know and believe that hard work and determination will lead to success in mathematics. Students often believe that math is about memorizing steps and algorithms, getting answers quickly, and being right. It’s the job of the teacher to help them see mathematics through a new lens, as something creative and relevant. Students need opportunities to see the role math plays in their lives and in the world. There are mathematical patterns in nature, baking, music, art, dance, and more. We need to show students the beauty of math and not only the numbers. Presenting students with real problems to solve will always be more rewarding than turning to a page in a textbook. Math Curse, written by Jon Scieszka and illustrated by Lane Smith, is one of many books that help students make connections between mathematics and everyday life. Using picture books is a great way to start conversations about mathematics outside the typical context of solving equations. When students are made aware of the math around them, they begin to notice the many facets of math. This can be key to changing the relationship they have with the subject. Unfortunately, mathematics brings up ill feelings and/or anxiety for many people, teachers included. 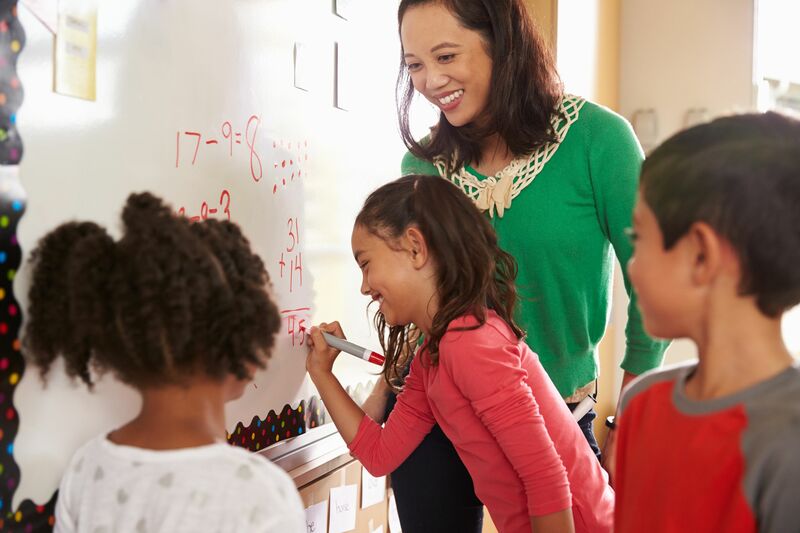 Students pick up on the negative energy many teachers bring when it’s time to teach math, so teachers need to deal with their own insecurities or negative experiences with the subject in order to create an environment where math is celebrated. We can create new math experiences for ourselves through professional development, reading books, or connecting with other math professionals, in order to become a positive force in the classroom. Teaching the subject with genuine enthusiasm impacts student engagement and supports learning. Within that positive environment, students need many opportunities to engage in math discourse. When they talk about their learning, it deepens their understanding. When they debate about mathematics, they employ higher level thinking and move into reasoning, so math conversations must be a regular occurrence in the classroom. Did anyone solve a different way? Did anyone notice any patterns? Does anyone recognize any similarities or differences in the ways people have solved the problem? Have students reflect on their own learning verbally and in writing often, and encourage them to reflect on the strategies they have learned through listening to others. Confer with students about their math thinking, pressing them to dig deeper and consider other possibilities. Differentiation is needed in all subject areas, but math class is a place where it can make or break a student. In order to prevent the student who is ready to move on from getting bored and to keep the student who is struggling with a new concept from giving up, we need to present options. Students thrive when they have a voice and a choice. While creating such options takes additional work on the front end, the payoff is more than worth it. Math rotations or stations allow teachers to work with small groups, and they allow the rest of the class to get extra practice or to have meaningful extensions and go deeper. Stations can include practice pages, apps and websites, manipulatives, games, partner work, money jars, math magazines, logic problems, and math puzzles. What Does It Take to Be a Mathematician? Whether they say it or not, students do wonder what it takes to be a great mathematician. They need to know it’s not about speed and always being right—it’s about curiosity, passion, and dedication. Children need to feel empowered as mathematicians and recognize that they are equipped with everything they need to be successful in mathematics. When young children develop a healthy math identity, they’re on the path to succeeding in math at the highest levels.